GOKPOP | Exclusive K-News in Malaysia & Singapore: Our Sanrio Times - Kuala Lumpur Exhibition has Extended to 17 Feb! It's Time To Recall Childhood Memories with Sanrio's character - Hello Kitty and more! 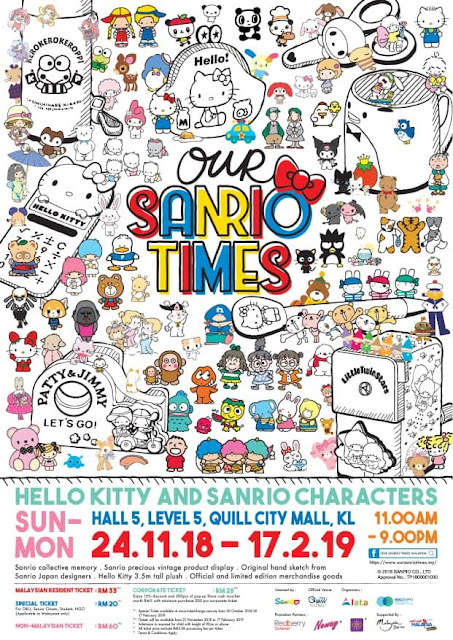 Our Sanrio Times - Kuala Lumpur Exhibition has Extended to 17 Feb! 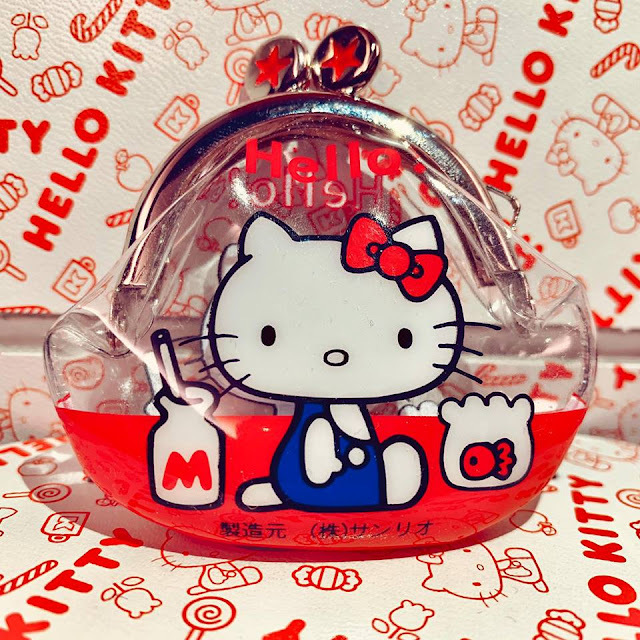 It's Time To Recall Childhood Memories with Sanrio's character - Hello Kitty and more! 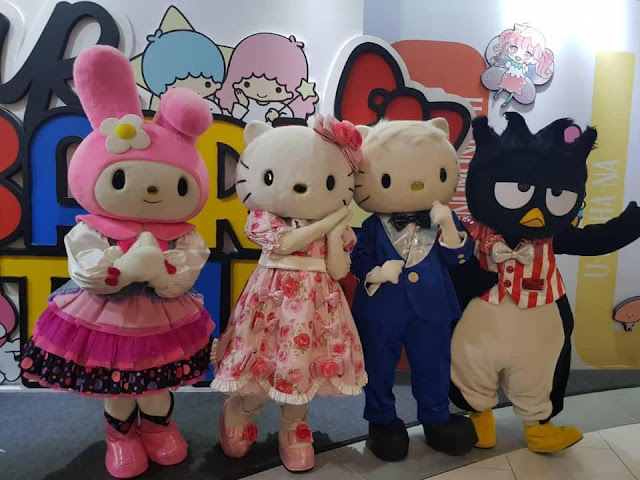 You can now strike a pose with your favourite Sanrio's character - Hello Kitty in "Our Sanrio Times - Kuala Lumpur", which is an exhibition featuring 13 Sanrio-themed zones, showcasing 400 adorable Sanrio characters in a variety of colourful settings and offering a visual experience like never before. Founded in 1960, best known for global icon Hello Kitty, Sanrio offers a portfolio of more than 400 endearing characters. 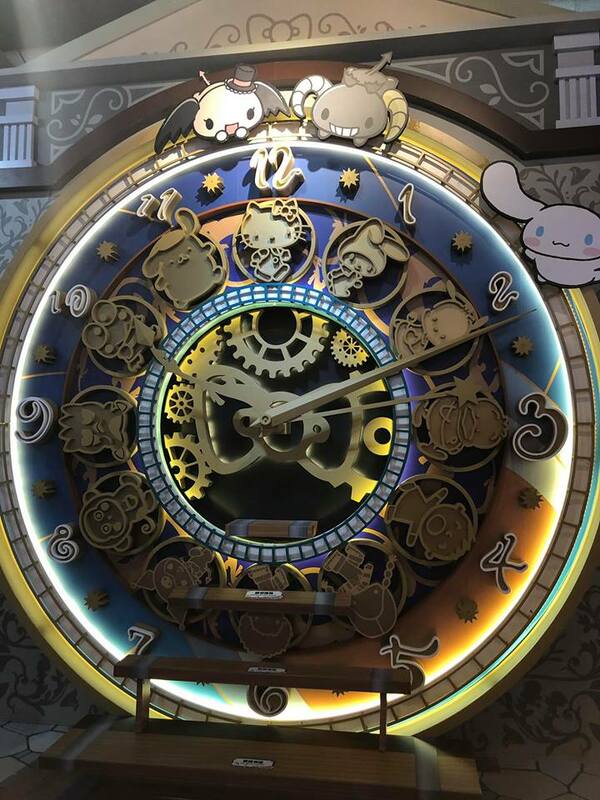 A symbol of their time, Sanrio characters are buddies who accompanied us throughout our lives. Whatever generation you are from, there's always a Sanrio time for you. A classical design of Sanrio Train, which imitates the Sanrio Gift Gate of Gotanda, Tokyo in 1970s. 'Sanrio Village” includes 100 Sanrio family - Patty & Jimmy, Minna no Tabo waiting for you to come onboard. Hello Kitty Coin Purse is the first replica merchandise created by Sanrio. You definitely will be surprised by it. With the full support of Sanrio Japan and Sanrio Hong Kong, over 300 vintage items are on display offering unprecedented visual experience. Designers in charge of Sanrio Japan is invited to provide exclusive hand sketch demonstration for the 9 main Sanrio characters, teaching us how to draw the lovely Sanrio characters step by step. This drawing tutorial undoubtedly become a great platform for fans to create their beloved characters! 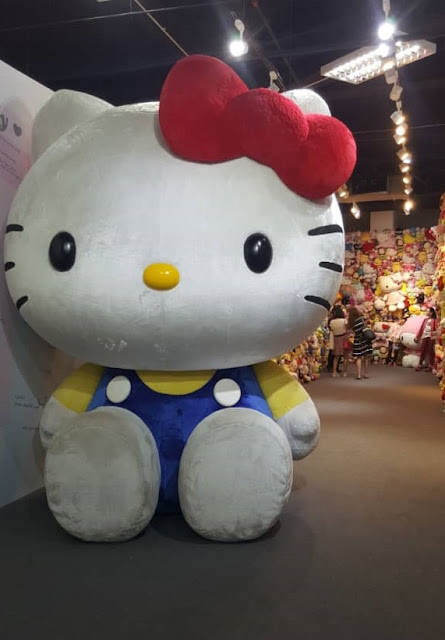 In addition to the 4 highlights above, the giant and adorable Hello Kitty plush in 3.5 m tall is featured at the plush tunnel together with 2,000 plush of 100 Sanrio friends. Strawberry News is published by Sanrio Japan since October 1974, which is the global monthly magazine to share the latest update and information of Sanrio. You can read previous Strawberry News when you visit the ‘Strawberry Newsroom’. A myriad of giant paper dolls recalls the happy childhood memories of the paper doll with friends. Everybody can mix and match the style of Kiki and Lala with those fantastic paper wardrobes. As Sanrio holds its first exhibition in Malaysia, it is a must to feature the cultural diversity of Malaysia as a setting! Seeing all of the adorable Sanrio characters posing at the popular attractions in Malaysia, how can it be a trip to remember without you? 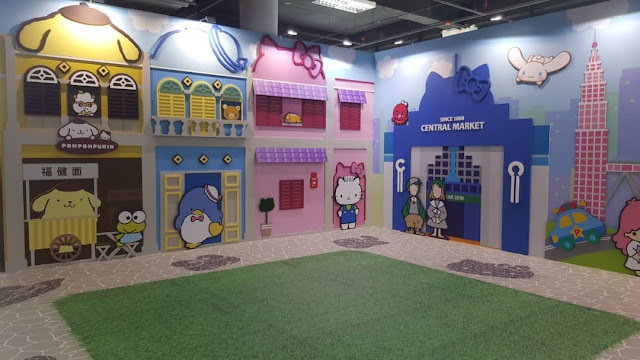 This exhibition is licensed by SANRIO, organised by ALATA EVENTS and MACEXPO and supported by TOURISM MALAYSIA. For more information, check out their official website.